Some years back I was working in a shipyard in San Francisco. The yard had several small repair jobs going, plus a fairly large project building six ocean-going barges. The supervisor who was in charge of the barge-building project was looking for volunteers to operate semi-automatic wire feeders, using flux-cored wire, to weld stiffeners to the skin of the barges. I had never used a wire feeder before, so I volunteered out of curiosity. After a very short training period, possibly all of 30 minutes but I think a bit less, I was off and running. I was impressed by the quality of the welds and the speed at which they were deposited. Without question I was outpacing anything that could be done by stick welding, and I felt it was easier to maintain a uniform weld size too. The machine itself was light enough and small enough to move without difficulty, and the spools of wire lasted long and were quick and easy to replace when the spool of welding wire was finished. Red-D-Arc has nearly a dozen semi-automatic wire feeders available for almost any application. We also carry fully automatic wire feeders, which are faster still and appropriate in certain circumstances – like building storage tanks – especially for large-deposition welds. 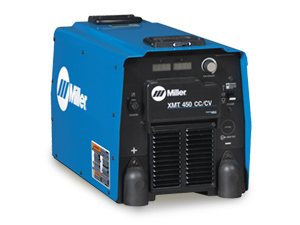 The Millermatic 252 —sometimes referred to as the Miller 252— is an extremely popular and easy to use welder. 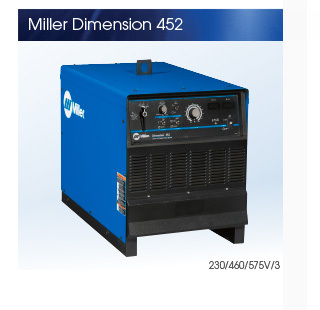 You only need to see the reviews quoted on Miller’s product site to see how much those who use this welder like it. It can be used for metal fabrication, maintenance and repair, farm and home use as well as light industrial applications. Capable of MIG (GMAW), Wirefeed, and Flux-Cored Welding (FCAW),this machine employs Active Arc Stabilizer technology which creates consistent power output resulting in better quality welds. The push/pull gun connects directly to the unit with no extra module required in between. The unit detects the gun automatically and recalls the voltage, wire feed speed and timer of the active gun. There’s a panel on the front of the unit with a quick-reference parameter chart so you can quickly apply the correct settings for the consumables you are using. This welder has the highest output in its class (250 A at 28 VDC) allowing longer welding times on high-end applications. This is a very popular unit, praised for its ease of use by people who are learning to weld, hobbyists and others for whom welding is only one of many tasks they perform in a day. One user says that he taught his entire family to weld using this machine, including his 57 year old mother. 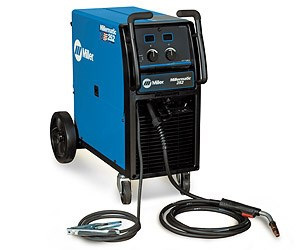 Feature rich, well thought out, and easy to use, you would be hard pressed to find a better welder than the Millermatic 252. Interested in renting one? Request a Quote. We’re currently running a special offer on used welding equipment. 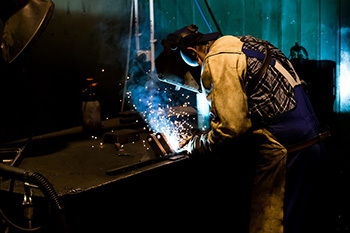 Our Quality Checked pre-owned welders are thoroughly checked over and maintained to ensure that you’ll get a reliable machine that is in excellent condition. Select Rated machines run and weld to the manufacturer’s specifications are operationally safe and load bank tested. These machines come with warranties which vary depending on status of the machine. 90 day warranty on Select Rated machines 12 months for Quality Checked. See the flyer for details in your area. 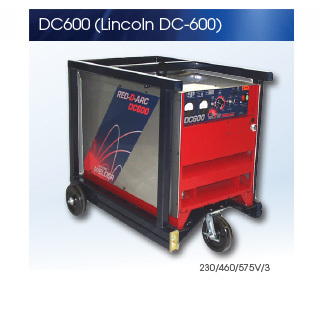 The DC600 and the Milller Dimension 452 are just a few of the used welders we have available.